It is not unusual to find you home or office dull and the windows looking pale. This is because dirt accumulates on the windows thus dimming their ability to let light shine through. If you find yourself in such a predicament, it is time to call us. 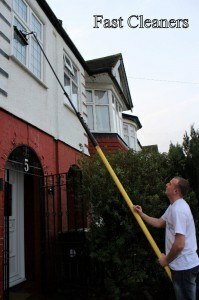 Our cleaning company Southwark loves to cater to all its client’s needs and this includes window cleaning. We understand that you want a bright environment with sparkling clear windows and do not want anyone to harm the plants growing in your garden close to the windows. We have the right cleaning techniques that will leave your windows sparkling while keeping the plants growing beneath the window panes healthy and chemically free. We are a company that offers cleaning with a difference. Our team is equipped with organic cleaning agents for use on the windows which will result in sparkling windows thus letting sufficient light into the house. Our window cleaning services is not only limited to commercial places but also to residential. If you are seeking for professional, reliable, flexible, and specialized window cleaning service Southwark; call 020 3322 7049.